The the fall of 2009, I had a series of posts related to renovating the swimming pool craft room in the basement. The final post in the series topped off the experience of adding and moving walls, electrical wiring, adding a beautiful floor and finishing it off with a good old painting! Yes. Take that in for a moment. :) It really was a great transformation. Over the last couple of years, I have added, moved around, taken out, put back in all sorts of things. I'm pretty proud of where it is today. While it is pretty much always in a state of disaster, I figure the messiest people are the most creative, right?! Generally, this shows what organization and stuff on the wall can do for a space. The last couple years has also brought to light that I am not a scrapbooker, or a card maker, or just a DIYer. 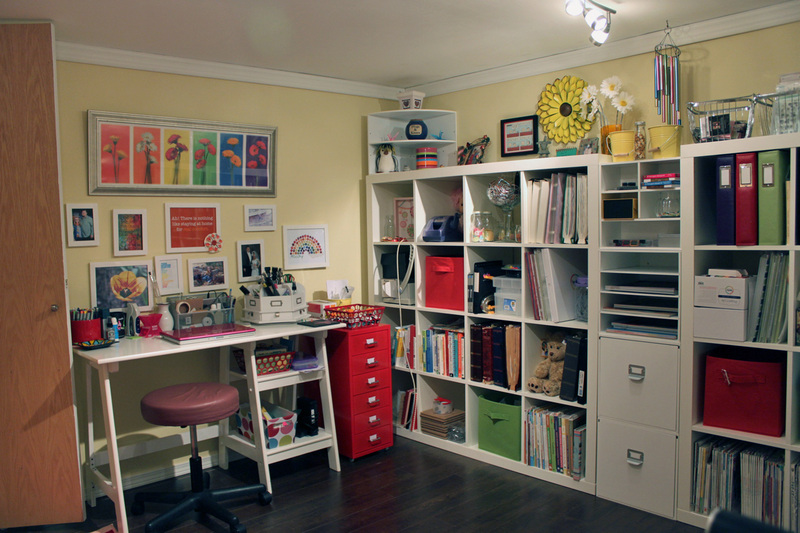 What does your dream space look like? 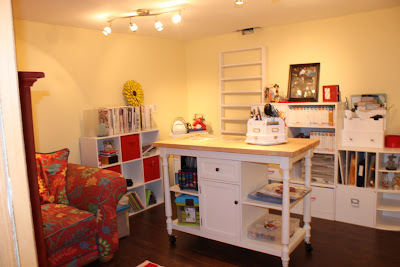 super awesome craft space. What a lucky girl. 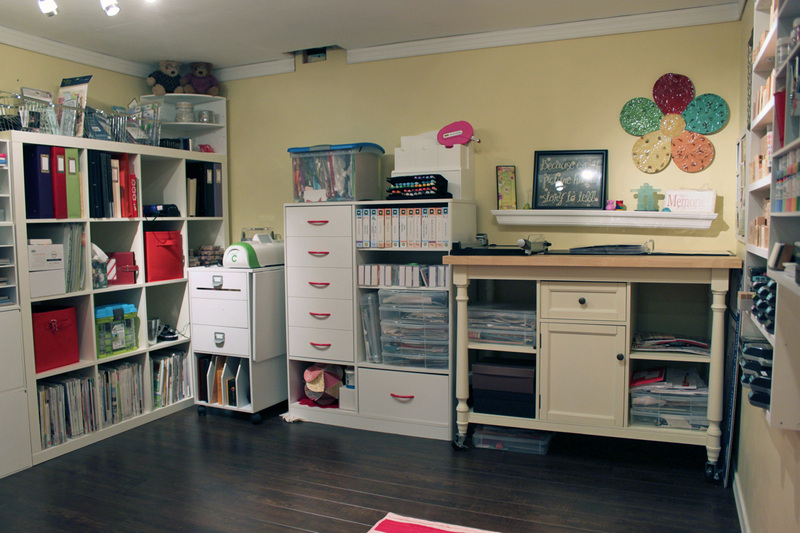 Thanks for stopping by and leaving me a comment tonight on my project life post. 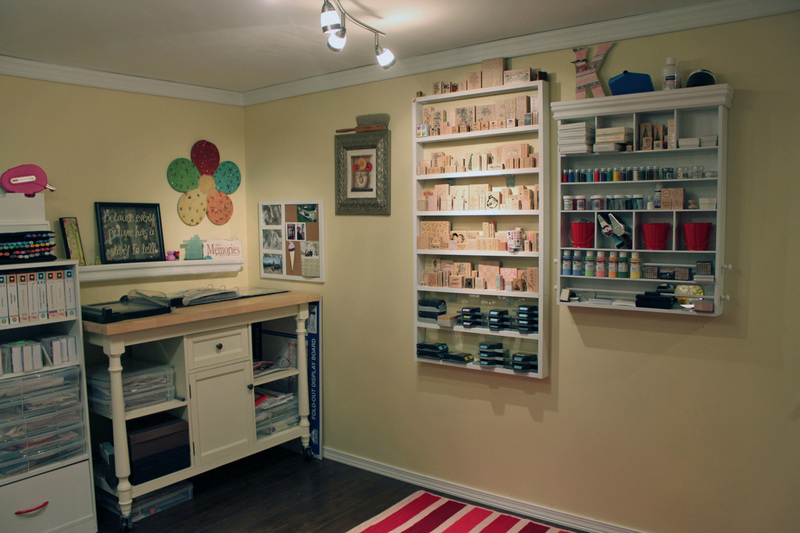 I loveeeeee your craft space! I can't wait to one day have one like that! And I love the cupcake drawing from the previous post, cupcakes are my thing and it is so cute! !